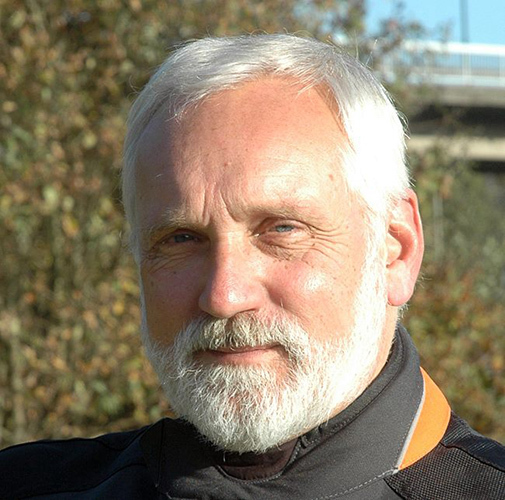 The board of the Federation of European Motorcyclists’ Associations (FEMA) has announced the appointment of Dolf Willigers as the new General Secretary of the Federation. At Right To Ride we congratulate Dolf on “getting the job” and look forward to engaging in a positive manner with Dolf in European representation and lobbying for motorcyclists. FEMA explains that Dolf Willigers (58), a Dutch national, has had a legal and economics education and worked for a long period as a business controller in the Netherlands. He has been a rider for many years and became involved in the Motorrijders Actie Groep (MAG) in the Netherlands in 2001. Within MAG Netherlands he held several positions before becoming a member of the board in 2005. In 2012 he co-organised the campaign in the Netherlands against the imposition of a periodical technical inspection for motorcycles by Europe. After resigning from the board in 2013 he became a FEMA delegate, a specialist on European affairs and editor of the Mag-a-zine, the periodical of MAG NL. The new FEMA General Secretary will make his first public appearance at the European Parliament session organised in the context of the European Motorcyclists Forum. The Debate-Session entitled Safer Motorcycling in Europe now! How can we tackle motorcycle safety challenges for the next decade? aims at discussing RIDERSCAN outcomes in the context of the European Commission’s Mid-term evaluation of road safety policy orientations for 2011-2020. The long awaited OECD/ITF report on motorcycle safety will also be presented and discussed at this occasion. At Right To Ride we had the opportunity to submit our comments to the draft report with the assistance of others in the motorcycle community from the UK and the USA. Dolf takes over this position from Aline Delhaye, who has been General Secretary since September 2006. Aline Delhaye will remain as Project Coordinator of the RIDERSCAN project until its finalisation in April 2015 and will be available to FEMA until September to ensure that Dolf Willigers is fully briefed on all FEMA business. 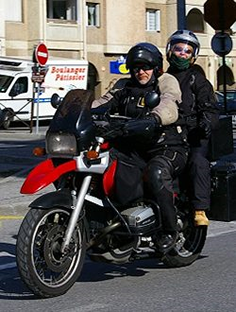 Riderscan the European Scanning Tour for Motorcycle Safety has run for three years is coordinated by the Federation of European Motorcyclists’ Associations (FEMA). It has been gathering existing knowledge in motorcycle safety related areas – infrastructure – education/training/testing/licensing – data collection/statistics – accident reporting – research – traffic management – awareness campaigns – national motorcycle strategies. Riderscan is part funded by the European Commission with total costs of €669.278 (50% EU Grant – DG MOVE-Road Safety) the other 50% funded from partners in the project.